Logan finally hit theaters over the weekend and by most accounts, it didn't disappoint. As sad as it may be, since this is going to be Hugh Jackman's last movie as The Wolverine, he is unquestionably going out on top. Even though he is leaving the role behind and hanging up the claws, that doesn't mean he will be abandoning the legacy of the character altogether. 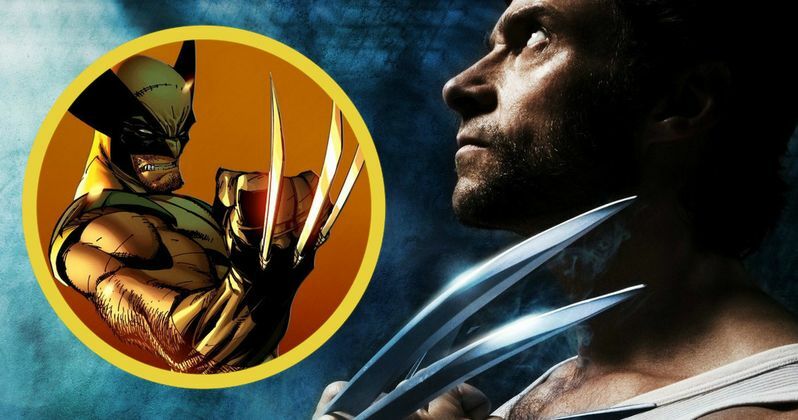 In fact, X-Men producer Simon Kinberg recently revealed that he will have a very important role to play when it comes to the future of Wolverine on the big screen; Hugh Jackman is going to have a say in who replaces him as the new Wolverine. Simon Kinberg, who has been a producer and writer for the X-Men movies for more than a decade, recently spoke with Deadline about Logan and the future of Wolverine on screen. He made it clear that they haven't even talked about recasting yet, but when and if that day ever comes, Hugh Jackman will be involved. Here is what he had to say about it. "We haven't even thought of the next iteration of Wolverine. For all of us, we were keeping our fingers crossed that the audiences would respond to Logan the way they have. I can't visualize in my head another Wolverine but if that day ever comes, we would talk to Hugh about it." It is probably safe to say that Simon Kinberg speaks for all of us there when he says that he can't picture anyone else as Wolverine right now. It will probably be a long time before any of us can even entertain the idea. But moviemaking is a business and Wolverine is easily the most popular character in the X-Men universe (largely thanks to Hugh Jackman) so there is almost no question that Fox will recast the role at some point. With that in mind, it is really nice to hear that even they respect the legacy left behind by Hugh Jackman enough to consult with him before ever moving ahead. That speaks volumes about what he was able to accomplish in his 17-year tenure. At the moment, Fox is focused on sending Hugh Jackman off in a proper way and taking in the success of X-Men as it commences its box office run. So far, the movie is a resounding success. The Logan movie has been adored by critics and fans alike in a way that simply doesn't happen with superhero movies all that often. Financially speaking, the movie is exceeding expectations. Logan has already grossed $254 million worldwide and will be raking it in over the coming weeks. Not only will this go down as the best Wolverine movie that Hugh Jackman starred in, but it could ultimately be the most financially successful as well, which is a big deal. Luckily Fox isn't eager to replace Hugh Jackman. Not that Simon Kinberg speaks for everyone at Fox, but he is a key member of the X-Men team. He is even rumored to be directing X-Men 7, in addition to writing the screenplay. So if he says that they aren't rushing to recast Wolverine, it is a safe bet that is the truth. The good news is that, whenever the day comes that Fox decides it is time to move on and give the claws to another actor, the man who brought Wolverine to life for nearly two decades will be a voice in that discussion.